Have a friendly, no obligation chat and learn about property prices and market trends in your area. Unlike other agents, if we don't sell your home, you pay nothing. We strive to be the best in providing personal service, care and achieving positive outcomes for our clients. I would like to thank Geoff for his professionalism and perseverance in achieving the recent sale of my Shepparton property. Before listing my home for sale with Ray Dobson Real Estate, I had previously listed my property with another agency. However, the previous Sales Agent was only interested in making a quick sale. Geoff on the other hand always had my best interest at heart and didn’t give up until my property was sold at a price I was happy with. I would recommend Geoff and the Ray Dobson Real Estate team, to anyone who is considering selling a property. Gerry recently assisted us in selling our home at 10 Wartook Court, Kialla Lakes. My wife and I would like to thank Gerry and his staff for the interest that was shown in supporting our objectives. Gerry’s staff took note of every detail and this helped in finding a suitable buyer for our lovely home. The speed with which they sold our home and the professionalism they showed to achieve our target price was very impressive. We would like to wish Gerry and the Ray Dobson Real Estate team every success in the future and would have no hesitation in recommending their service to anyone who is considering selling their property. Thank you Gerry & your team for your professional & friendly approach to selling my home. I was happy with the price and you kept me updated throughout the process. If you need help buying or selling your home call Gerry at Ray Dobson Real Estate. - Sam Coticchio - 82 Wilmot Rd, Shepparton. “We Cannot Thank you Enough”. My husband and I would like to thank Geoff and the Ray Dobson Real Estate team for selling our beautiful first home. The team were professional as well as genuine and made us feel comfortable throughout the entire sales process. Geoff was easily contactable at all times and was always happy to assist us by providing us with honest advice. 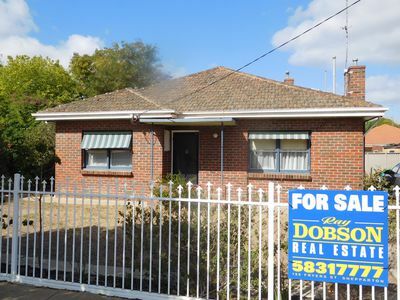 We would highly recommend anyone interested in selling to use Geoff at Ray Dobson Real Estate. We cannot thank you enough. - Madi Davis & Simon Williams - 18 Solar Court, Shepparton. We believe it is our job to attract buyers and therefore it should be at our expense. That is why, when you sell with us.........you won't have to pay us a cent until we sell your property. No marketing costs - NOTHING! TO PROVIDE THE BEST REAL ESTATE SERVICE IN THE WORLD, BASED ON THE HIGHEST STANDARD OF ETHICS, VALUES AND CLIENT CARE. IN SO DOING, WE WILL EARN THE LOYALITY AND TRUST OF HOME - SELLERS AND BUYERS WHO WILL BECOME OUR LIFELONG CLIENTS AND FRIENDS BECAUSE WE ALWAYS PLACE THEIR INTERESTS AHEAD OF OUR OWN. THIS IS OUR MISSION. WE WILL LIVE UP TO IT IN EVERYTHING WE DO. OUR SUCCESS WILL ALWAYS BE MEASURED BY THE HAPPINESS AND THE LOYALITY OF OUR CLIENTS.